Submitted by Dave Dempsey, this essay starts with a critical question. To Michigan’s longest serving governor, Traverse City’s own William Milliken, it was everything. 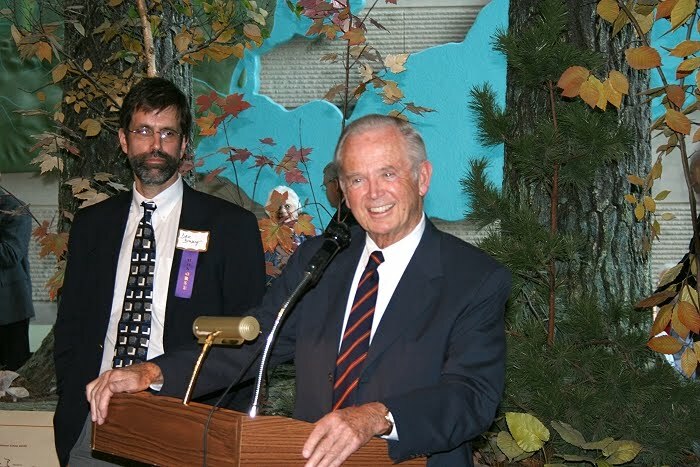 Considered the state’s greenest governor, the now 95-year-old Milliken credited northwest Michigan for his environmental concern. 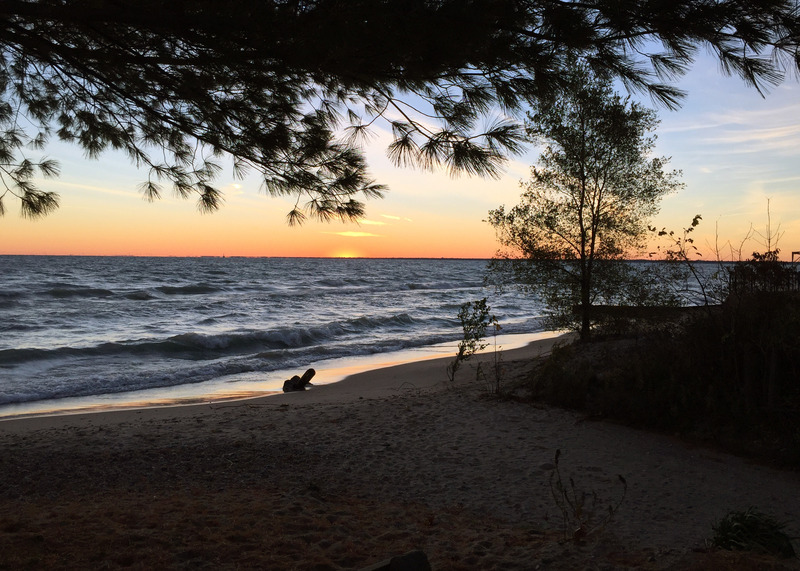 Milliken said he “became imbued with the beauty of Michigan” during his childhood. Living in his family’s cottage at Acme on the east arm of Traverse Bay in the summer, and never far from this area’s woods and waters, Milliken said he spent his boyhood in outdoor pursuits, including fishing, canoeing, and sailing. At the age of 77 in 1999, when I interviewed him for a book, he still ran several miles almost daily, his favorite jogging spot in suitable weather a park near the tip of the Old Mission Peninsula. 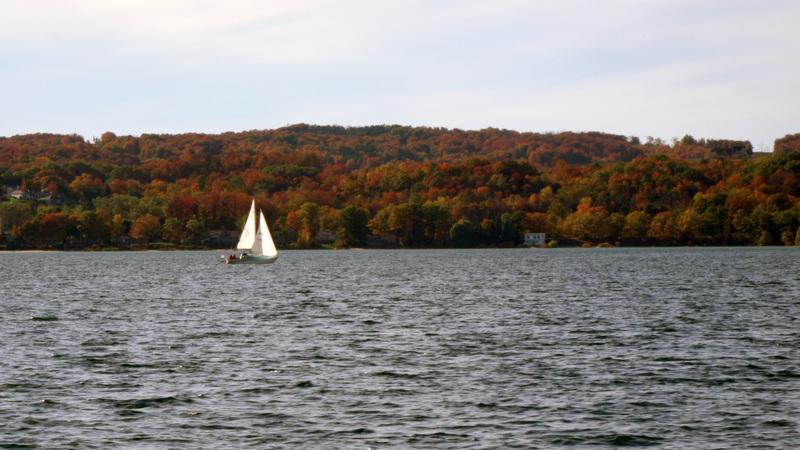 For decades, he has lived in a house overlooking the west arm of Grand Traverse Bay. It’s hard in that setting not to think about clean water. 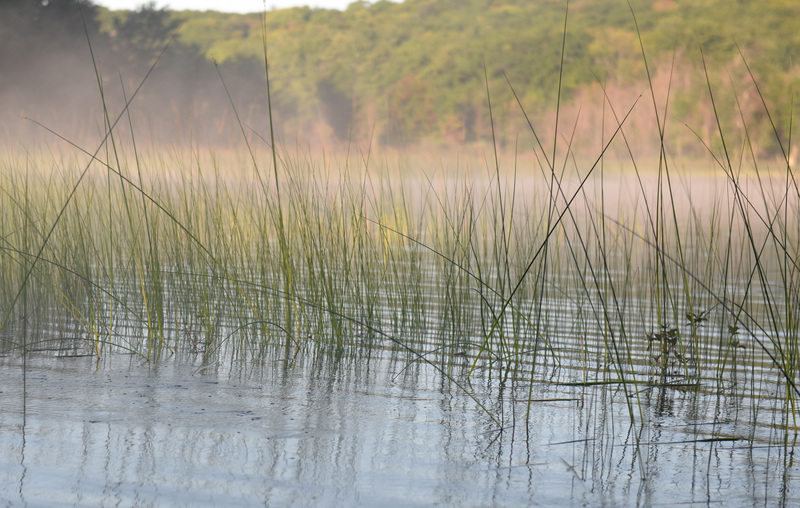 Michigan benefited from Milliken’s steeping in the natural world. 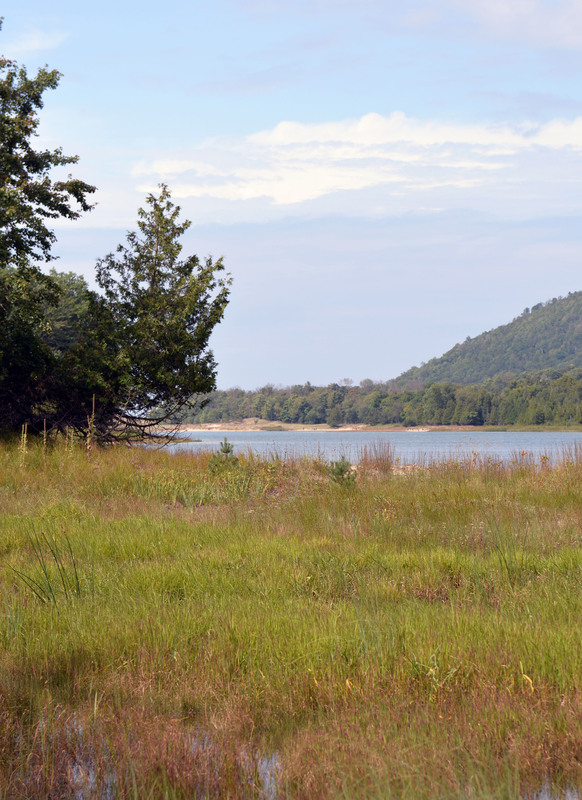 In one form or another he was key in Michigan’s beverage container deposit law, wetlands and sand dunes protection, defense of the Pigeon River County State Forest, tough phosphorus pollution controls and much more. I’m about to find out about the importance of the same place that fostered Milliken’s environmental values. Having left the staff of the International Joint Commission (IJC), the U.S.-Canada treaty organization that serves as a Great Lakes watchdog, at the start of 2017, I signed up with the Traverse City-based nonprofit FLOW [For Love of Water] this month. It wasn’t a random choice. Advocating public trust principles that put the people rather than private interests in charge of our Great Lakes waters, FLOW has a special role to play in protection of the Great Lakes. It will assure that government policy and practice doesn’t shear the public of its ownership interest in the Lakes. One of the issues I hope to learn about here is the response to climate change. Change is hard – and some of us are better at handling it than others. As the U.S. government turns its back on the reality of climate change, the IJC is warning that adapting to often unpredictable impacts of climate change is essential. And many local governments in the Great Lakes watershed are building climate change into their planning. Because like it or not, the climate is changing. It appears FLOW and allies will be most successful in working with communities, rather than state or federal governments, on climate adaptation. Cities get it. A Great Lakes jack-of-all-trades, Ullrich is also the U.S. Co-Chair of the IJC’s Great Lakes Water Quality Board (WQB), which in January released its first report on climate change since 2003 (click here for the pdf). Endorsed by the IJC itself were two of the Board’s recommendations and a key finding. That Great Lakes governance institutions develop a transboundary agreement on Climate Adaptation and Resilience in the Great Lakes. The Agreement would include a shared vision, coordinated action, and creation of a network to share science, information and knowledge, including Métis, First Nations and Tribal traditional ecological knowledge. That governments undertake a Great Lakes Climate Change Impacts Vulnerability Assessment. This would consider vulnerabilities to the chemical, physical and biological integrity of the Great Lakes in the context of water quality, and the related potential vulnerabilities for Great Lakes coastal communities, commerce and public health. As important as the Commission and its recommendations are, it has no implementing role. It will be left to others to do the heavy lifting. Canada seems willing. Its national environmental agency changed its name to Environment Canada and Climate Change. But it takes two to negotiate a transboundary agreement, and new management at U.S. EPA has shunned the very idea of human-influenced climate change and helping communities adapt (click here for the pdf). Bottom-up leadership on the environment is not new. Since the onset of gridlock in Washington in the 1990s, communities and nonprofits have been the innovators. The rapid rise of land conservancies, the proliferation of recycling programs and the spread of municipal sustainability programs are the fruits of that trend. Still, solving a problem of global scale should not require working around the federal government. The Great Lakes can’t afford the feds’ climate change ostrich strategy. Lake Superior is the fastest warming lake in the world and its native biological diversity is at risk. Already warm Lake Erie is suffering from temperature-associated toxic algal blooms. All the lakes are vulnerable to increasingly intense rain storms that result in heavy sedimentation. That’s just the beginning. For now, one of the best places to be in the struggle to deal with climate change is northwest Michigan. It has more at stake – everything from the iconic cherry crop to the iconic Sleeping Bear Dunes – than most. It also has a dynamic set of individuals, nonprofits and local governments crafting innovative climate initiatives. People with values similar to Governor Milliken’s. I look forward to learning more about those initiatives, and I’m glad to be in a place where the action is. Help us keep the stories coming by making a tax-deductible donation of any size! Enter your name and email below and click Subscribe! Have a comment or question or story idea for this site? Email us at naturechangemi@outlook.com or visit our Facebook Page.